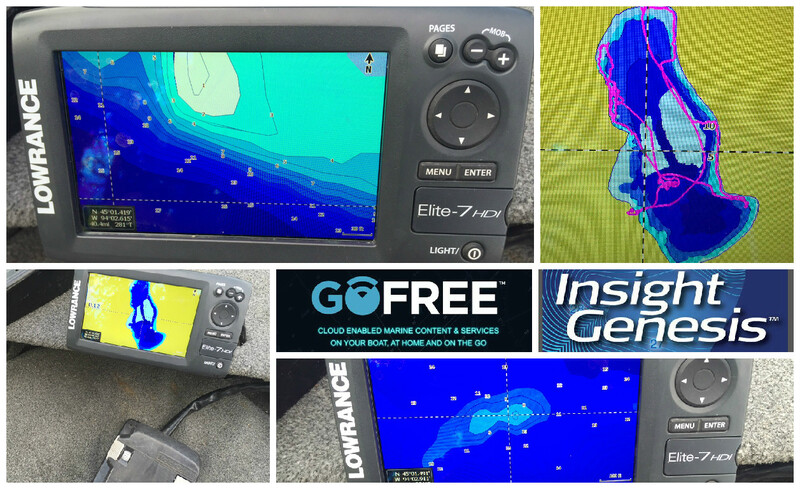 Insight Genesis custom contour maps now display on Lowrance Elite sonar/GPS units in the same dazzling blue-scale color palette previously available only on HDS Gen2 and Gen3 units and in online displays of the maps. Insight Genesis is the innovative software service anglers use to make custom one-foot contour maps of un-mapped bodies of water, improve contour detail on previously mapped waters, and to find fish-holding bottom structure not charted on off-the shelf maps, including reefs and shoals, sunken islands and holes, humps and hard-bottom areas, drains and ditches. GoFree, Navico’s newest brand, offers digital marine maps, including Insight Genesis, Lake Insight HD, Lake Insight Pro and others. In the video below — a sneak preview of a new web-TV series called “First, Biggest, Best!” — brothers and Bassmaster Elite Series pros Matt and Jordan Lee have fun finding and catching fish using a free, blue-scale contour chart from Insight Genesis Social Map. Deeper water is darker blue, shallow water is lighter blue. When you zoom out (left), you will seem more generalized areas of darker and lighter blue, indicating deeper and shallow water. When you zoom in (right) you will see much greater depth-change detail. The Elite blue-scale feature comes just in time for anglers who will compete with Elite units July 9-11 in the 2015 Carhartt Bassmaster College Series National Championship presented by Bass Pro Shops, including those to whom Lowrance loaned units earlier in the tournament season. 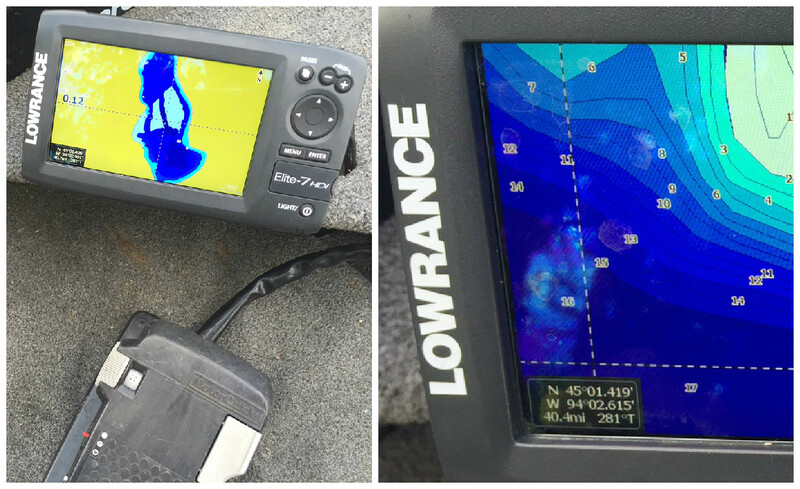 Through the Insight Genesis College Cup program, Lowrance loans Elite 7 gps/sonar units to college anglers who do not own one, empowering them to compete with the industry’s best sonar and mapping technology. Both personally created custom Insight Genesis maps and Insight Genesis Social Map charts – available for free download – will display in blue-scale on Elite units. With the Insight Genesis Social Map, anglers can quickly and effortlessly download free, high-definition contour maps of thousands of water bodies, including those close to home, across the country, and around the globe. For tournament and vacation anglers that travel often to distant, new waters, Social Map has already become indispensable. From it, they can quickly and effortlessly download free, high-definition contour maps of thousands of water bodies, including those close to home, across the country, and around the globe. 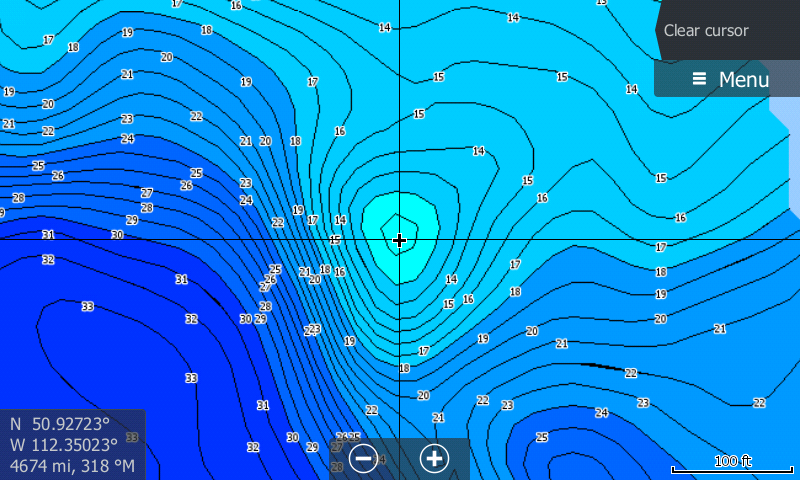 Built on a base layer of existing contour charts, Social Map refreshes itself in near real-time with current sonar data shared by the Insight Genesis community, revealing new fishing holes for anglers in never-before-seen detail. You can harness the power of Insight Genesis for yourself with a free account or a Premium subscription. 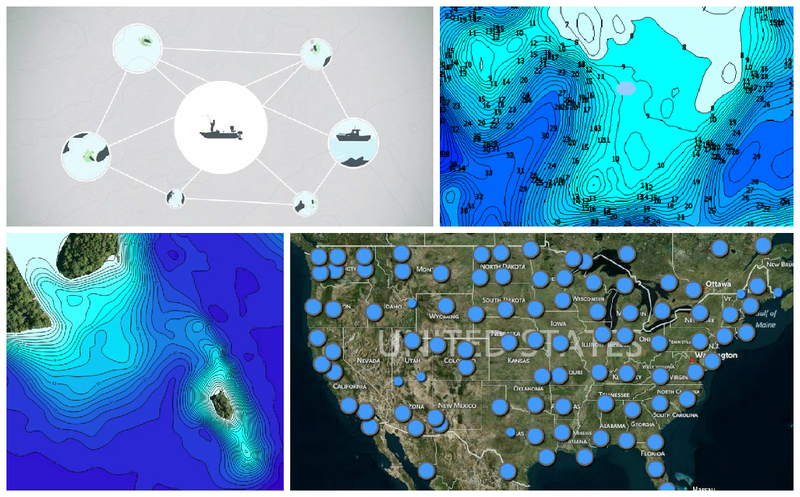 With either, you can create, use online and on the water, and save to the cloud, both custom and Social Map charts; contribute sonar data; create, edit and store waypoints; manually adjust water-level offsets; and analyze weather trends. With a Premium subscription, you can also create unique bottom-hardness and vegetation-location maps, and can choose to mark your maps as private for personal use only. (Note: No matter which option you choose, your trails, waypoints and other personal data are always kept private. 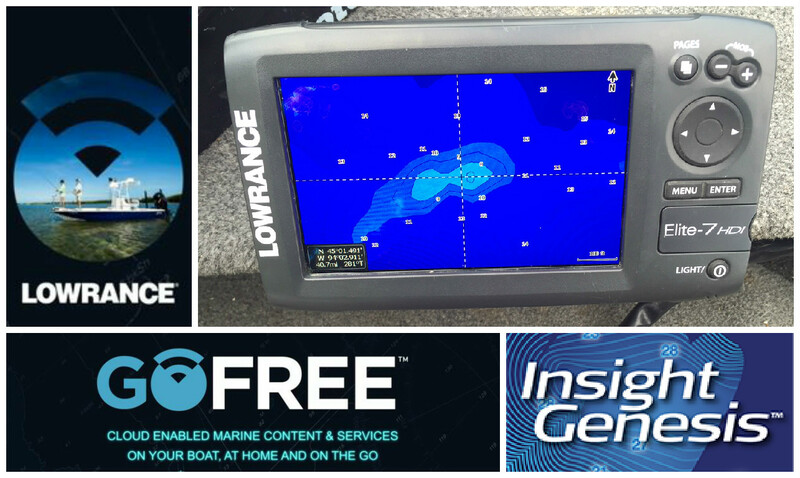 * To use Insight Genesis maps on the water, you’ll need a compatible Lowrance, Simrad or B&G chartplotter.